Flashback to the halcyon days when you spent your weekends plunking down quarters at your local arcade! The Namco Museum Greatest Hits vinyl LP from independent record producer SPACELAB9 brings back all the good memories through sound. 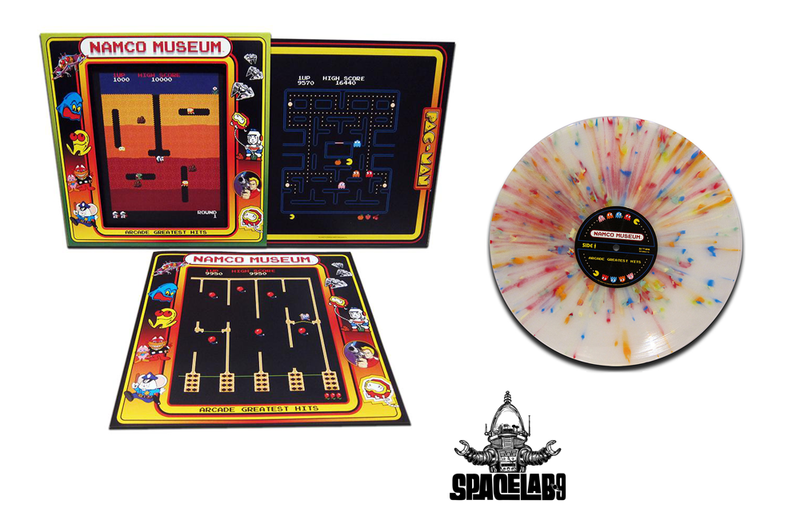 Produced exclusively for online retailer ThinkGeek, the pressing is limited to 2,000 copies and contains 19 tracks of music and sound effects from such classic Namco arcade games as Pac-Man, Dig Dug, and Galaga. Each disc features a “Pixel Explosion” color variant and is packaged in a die-cut jacket and Pac-Man-themed sleeve. As a bonus, SPACELAB9 has included an 8-page booklet with some history of the games on the album. The Namco Museum Greatest Hits vinyl LP checks in at $34.99 USD while supplies last. Fans of Doctor Who will rejoice at the hand-crafted items created by Jessica Miller in her North Carolina studio. Say goodbye to clutter on game nights with Wyrmwood Gaming's stackable, magnetic, modular wooden tile system.